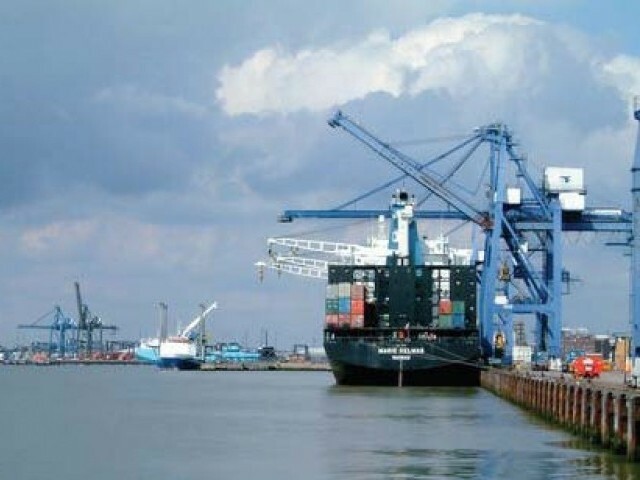 The Karachi Port and Port Qasim handled a cargo volume of 215,971 tons during the last 24 hours that included 172,737 tons of imports and 43,234 tons of exports, the two ports reported on Thursday. Accordingly, the Karachi Port handled imports, including containerised cargo (20,909 tons), bulk cargo (17,487 tons), coal (25,300 tons), soyabean seeds (1,014 tons) and oil / liquid cargo (42,120 tons). It handled exports, including containerised cargo (33,147 tons), bulk cargo (882 tons) and cement (492 tons). Port Qasim handled imports, including edible oil (22,650 tons), diesel (34,148 tons) and urea (7,640 tons). It handled exports, including cement (8,713 tons). Berth occupancy was measured at 65 percent at the port on Thursday, the Port Qasim Authority reported. It said that it moored two ships during the last 24 hours, which were carrying diesel and edible oil. With this, a total of seven ships loaded and offloaded containers, cement, wheat, urea, edible oil and diesel. The Karachi Port Trust said that it berthed seven ships in the last 24 hours, which were carrying containers, general cargo, and tankers, while another 11 ships, carrying chemicals, tallow oil, containers, coal, cement and project cargo, are expected to arrive at the port in the next 24 hours.